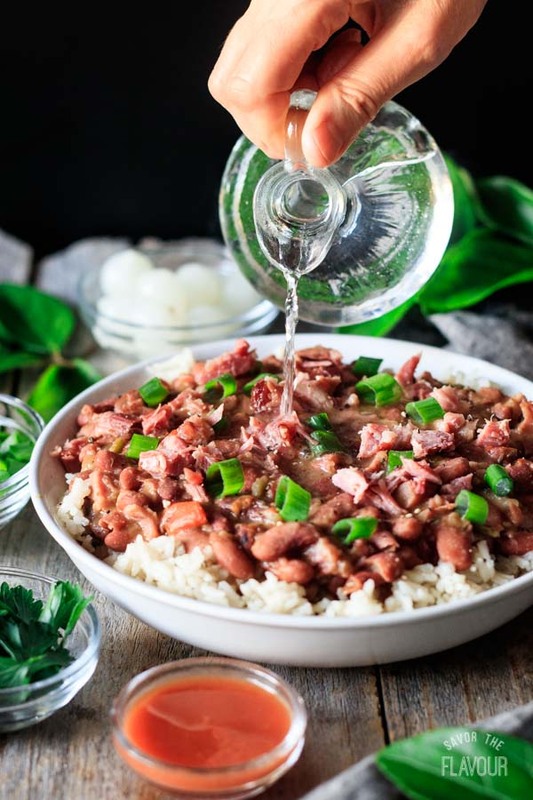 Creole red beans and rice is an easy recipe to make when you are craving some authentic soul food from New Orleans. 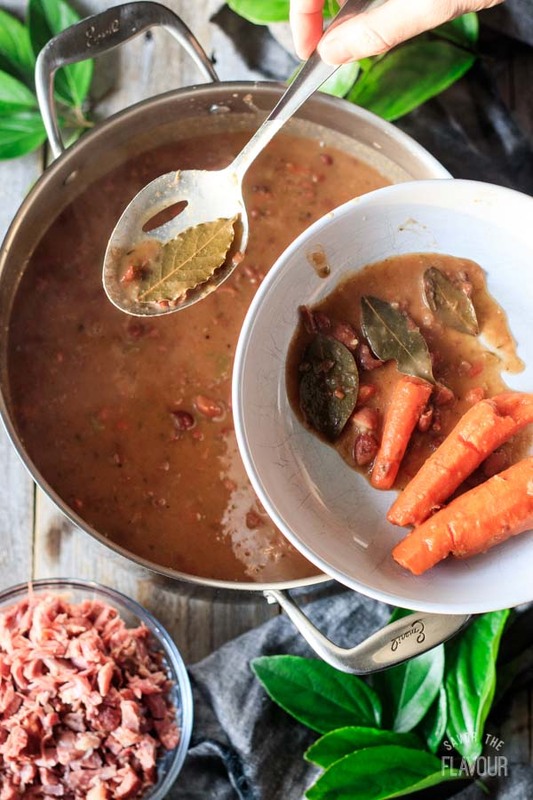 Let these creamy red beans simmer for hours on your stove top. What’s stopping you from serving your family a healthy side dish of red beans and rice for dinner tonight? This post was originally published on April 11, 2018. My first taste of red beans and rice wasn’t at my grandma’s, like so many of my other Southern friends. It was at a popular local restaurant, served in a small bowl, with the rice already mixed in. Fast forward years later. I decided to make up a batch and found that all Creole red beans and rice recipes have their own twist, but share certain ingredients and techniques. One thing these cooks could all agree on was the cooking method: low and slow in a big old pot. What is red beans and rice? 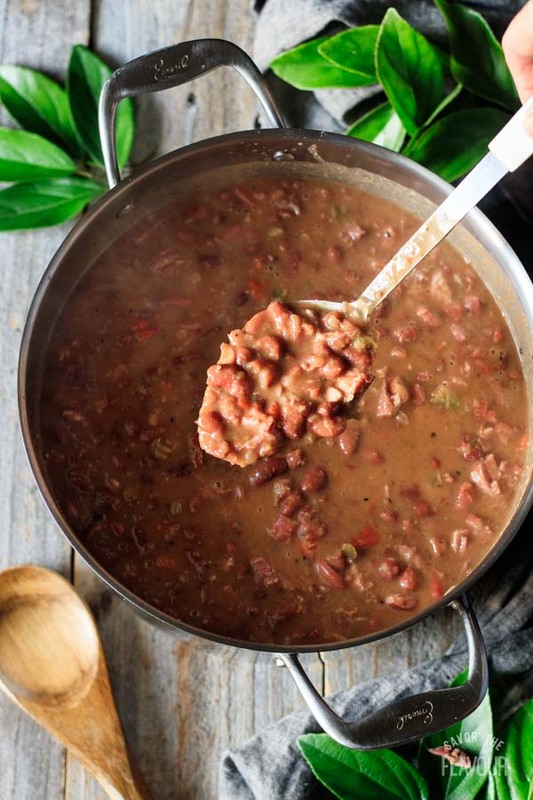 Red beans and rice is a signature dish of Louisiana Creole cuisine. 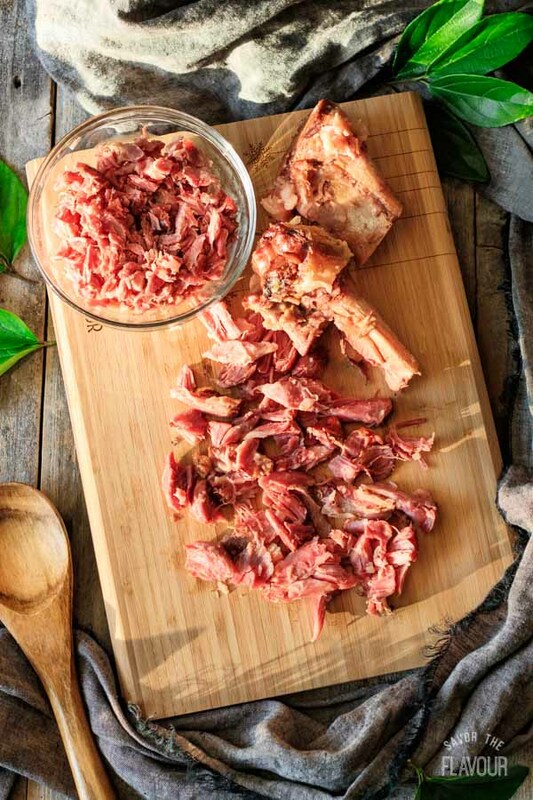 It was traditionally served on Mondays, which was laundry day, and made use of Sunday’s leftover ham bone. This simple dish would simmer for hours, making it an ideal choice for a housewife that was busy doing laundry. It was cheap to make, tasted delicious, and felt so comforting that it quickly became a popular dish. 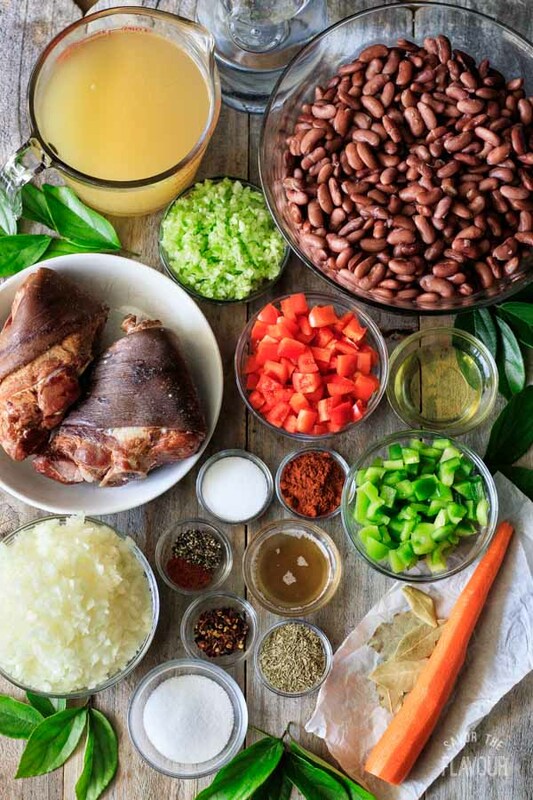 What are the common ingredients in red beans and rice? 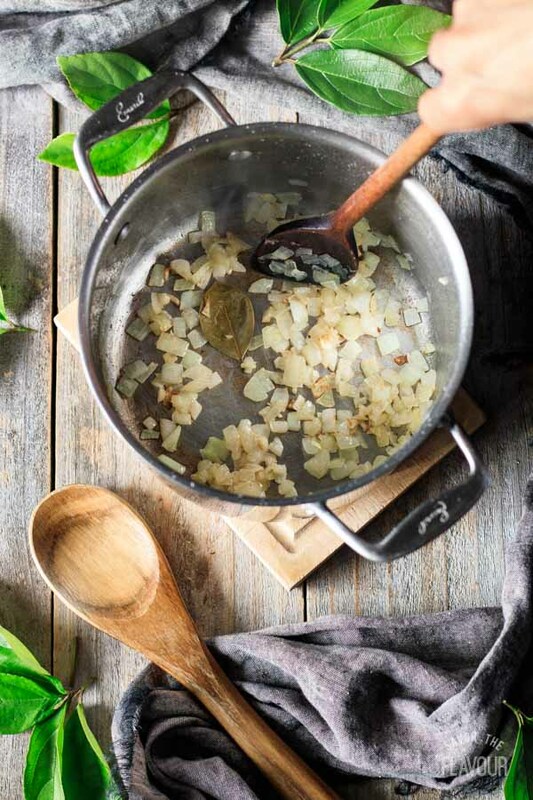 Cooking Liquid: Most recipes use water versus chicken stock. 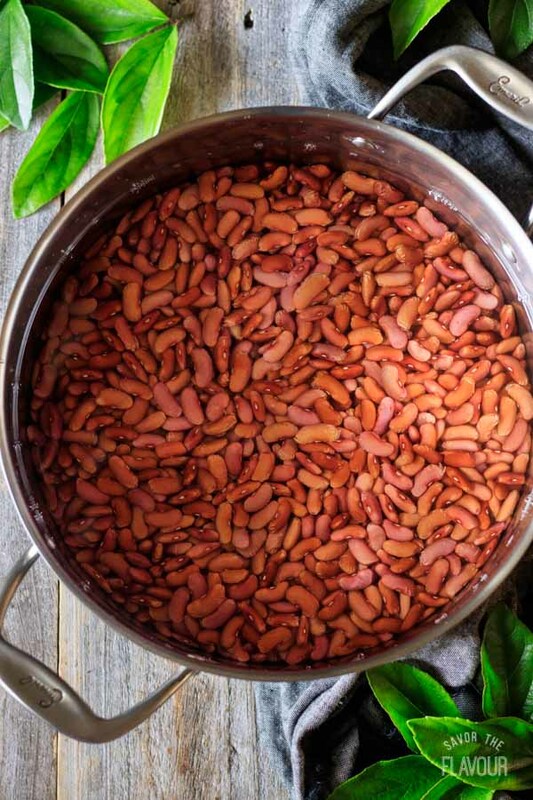 What kind of beans do you use for red beans and rice? Of course, all red beans and rice recipes have red beans as the key ingredient. To be authentic, you need to buy the dried beans, preferably the Camelia brand from New Orleans, as it cooks up wonderfully creamy and soft. This brand is easy to find in Southern grocery stores, but if your store doesn’t sell it, you can order it online. How do you soak beans? 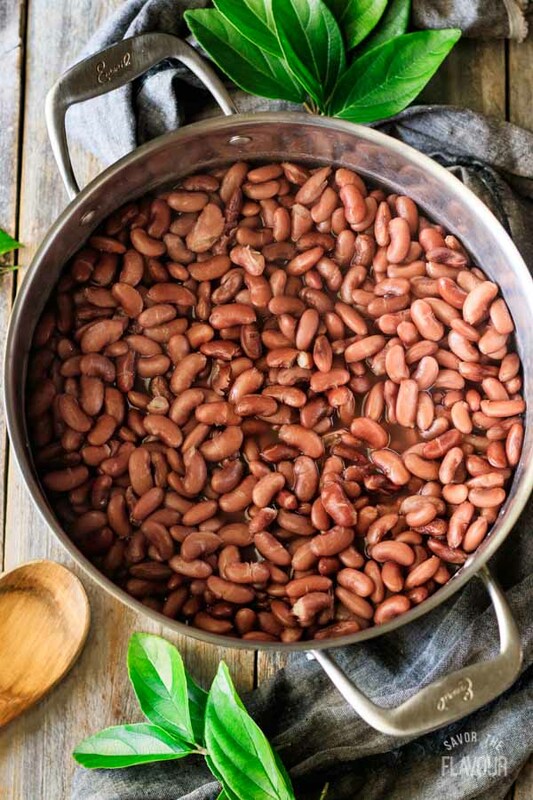 Overnight method: cover beans with of cold water, add 2 tablespoons of salt. Cover for 12 to 24 hours. Drain. Rinse. Quick soak method: same as above but bring the covered pot to a rolling boil. Boil 10 minutes. Turn off heat. Let sit for 1 hour. Drain. Rinse. What do you season red beans and rice with? 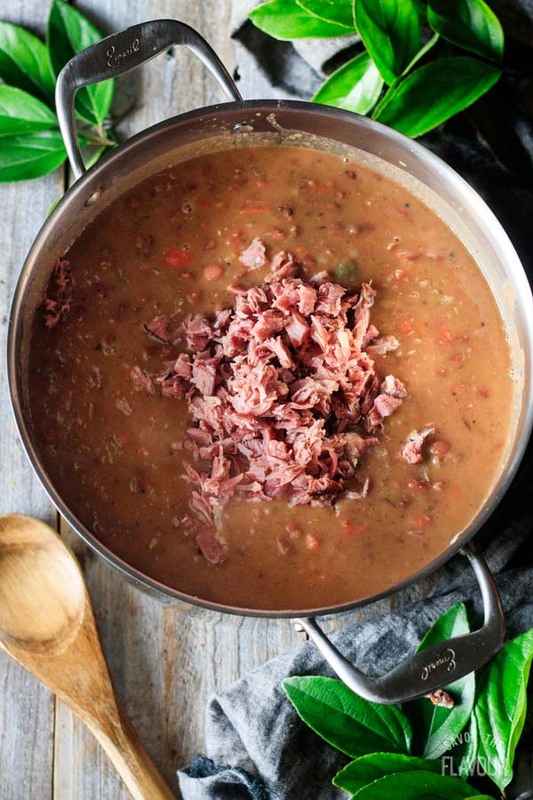 What to serve with red beans and rice? 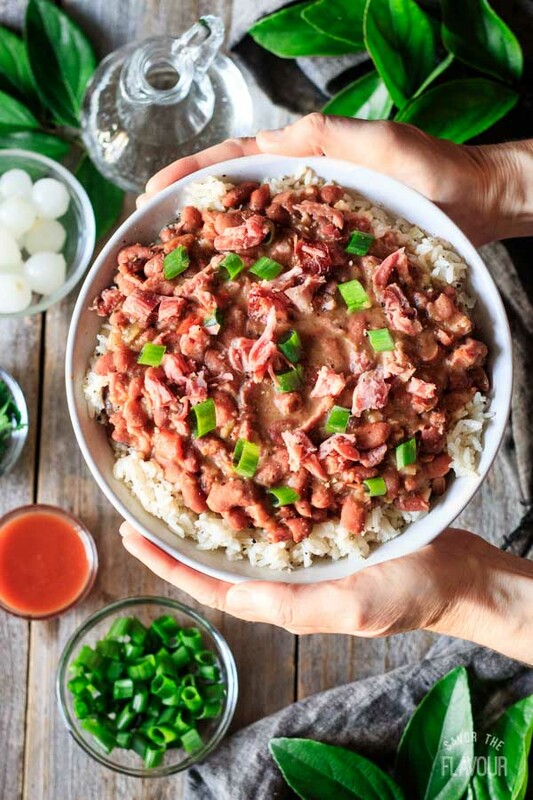 How to serve red beans and rice? The most popular way to serve Creole red beans and rice is to keep the rice and beans separate. This allows the guest to decide the rice-to-beans ratio they would like and keeps the rice from absorbing the liquid from the beans. 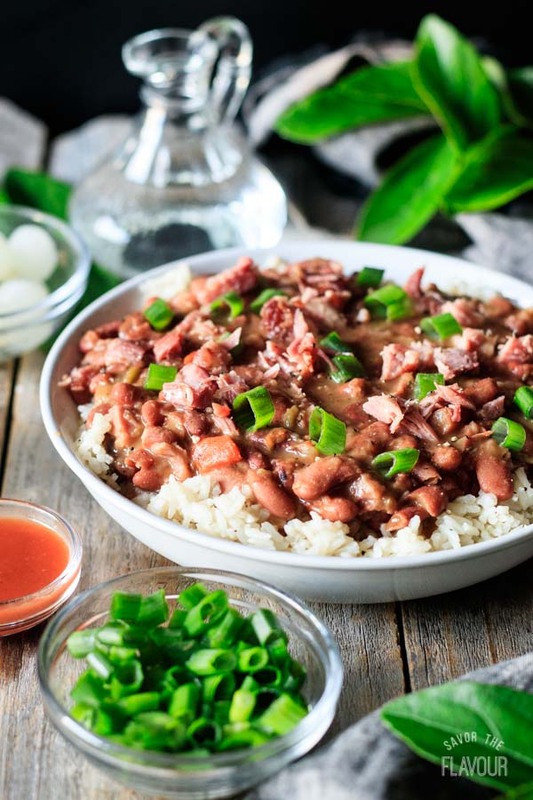 Traditionally, the ratio is twice as much beans to rice, but if the beans are extra spicy, a guest might reverse that ratio if they prefer things on the milder side. It’s also nice to provide additional garnishes and condiments for your guests to use. The most common garnishes are chopped green onions, parsley, hot sauce, and vinegar. You might question the vinegar (white, cider, or red wine), but it is a nice touch. The fresh parsley can be either stirred in just before serving or sprinkled on top. If you like an old school method, try a sieved egg. Another delicious option is pickled pearl onions. Soak the dried beans with your preferred method. Rinse the beans, place in a large, heavy-bottomed metal pot, and cover with cold, salted water two inches above the beans. Put the lid on and bring to a rolling boil for 10 minutes. Shut the heat off, but keep the pot on the element with the lid on tightly. Let the beans soak for a minimum of one hour. After an hour of soaking time, the beans will have swollen and changed in color. Drain and rinse. While the red beans are soaking, prep the rest of the ingredients. Chop up the vegetables for the holy trinity of onion, celery, and bell pepper. I’ve added a large peeled carrot to help absorb some of the indigestible sugars. Heat up the fat (bacon grease and oil) then add the chopped vegetables. Saute for 5 minutes. Add the spices (red pepper flakes, cayenne pepper, black pepper, thyme, and paprika). Stir constantly and cook for one minute. Add the soaked red beans, chicken stock, water, carrot, and bay leaves. Mix well with the holy trinity and nestle in the two ham hocks. Cover and bring to a boil. Lower the heat to medium low and simmer for 3 hours with the lid askew. Stir the beans occasionally so they don’t stick to the bottom of the pot. After two hours, remove the ham hocks, and place on a large plate to cool. During the last 15 minutes, remove 3 cups of red beans. Place in a bowl and mash with a potato masher. You can also mash the beans with the back of a wooden spoon or with the tings of a fork right in the pot. This technique will help you achieve a creamy texture. 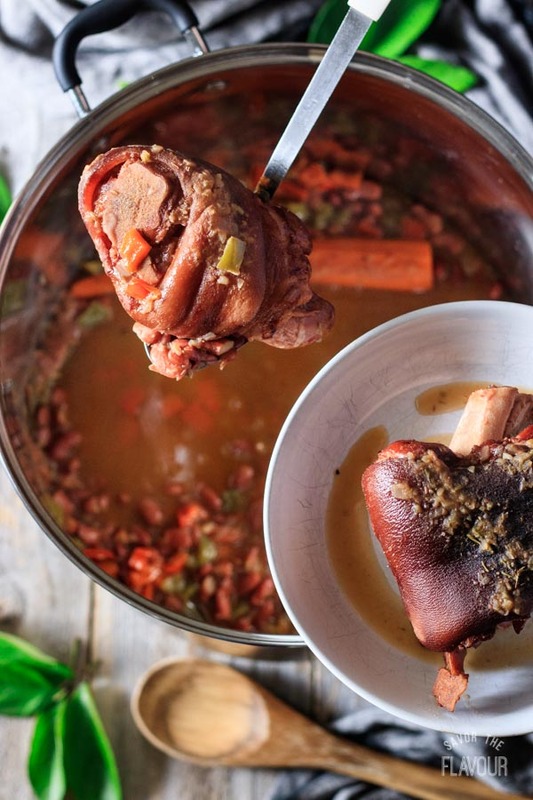 Once the ham hocks are cool enough to touch, cut the meat off the bone and chop it up. Add most of the ham back to the pot and keep some back for garnish. 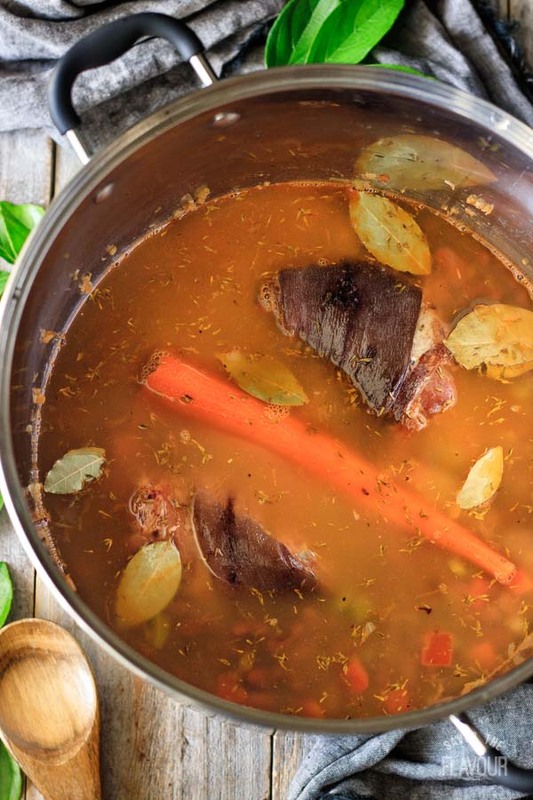 Remove the bay leaves and the carrot. Add the chopped ham back into the pot. Stir it in, add the salt, and adjust seasonings. Let the red beans simmer for another 15 minutes to meld the flavors. Now, the red beans are ready to serve. 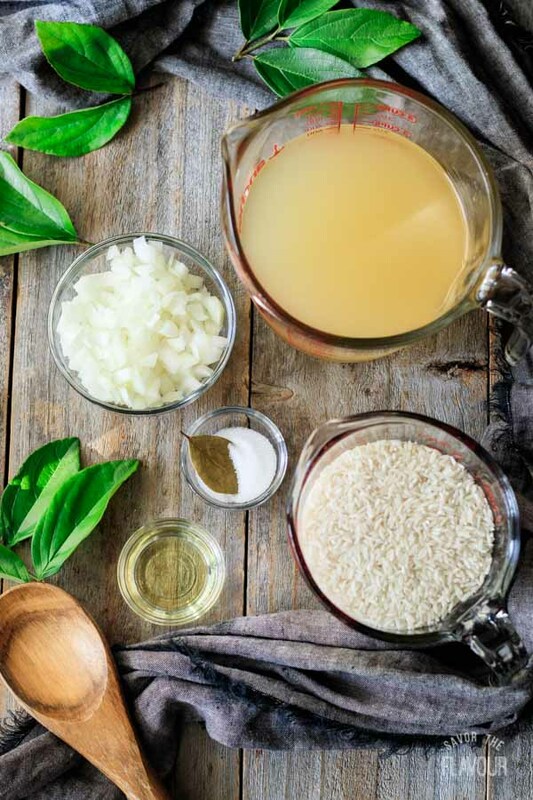 To make the fluffy white rice, gather the ingredients: chicken stock, yellow onion, olive oil, bay leaf, and salt. Heat the olive oil, add the onion, sprinkle on the salt, and add a bay leaf. Saute the onion until starts turning a light brown, roughly 5 minutes. Stir in the long grain white rice and pour in the chicken stock. Cover and bring to a boil. Reduce heat to medium low and cook for 15 minutes. Remove from the heat. Let sit for 5 minutes, then fluff with a fork. 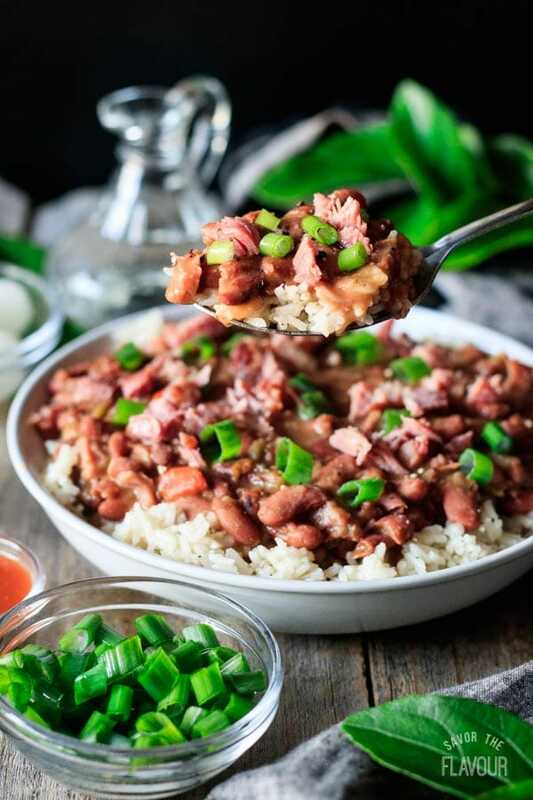 Serve the beans over the rice and garnish with chopped ham, green onion, and a few cracks of black pepper. 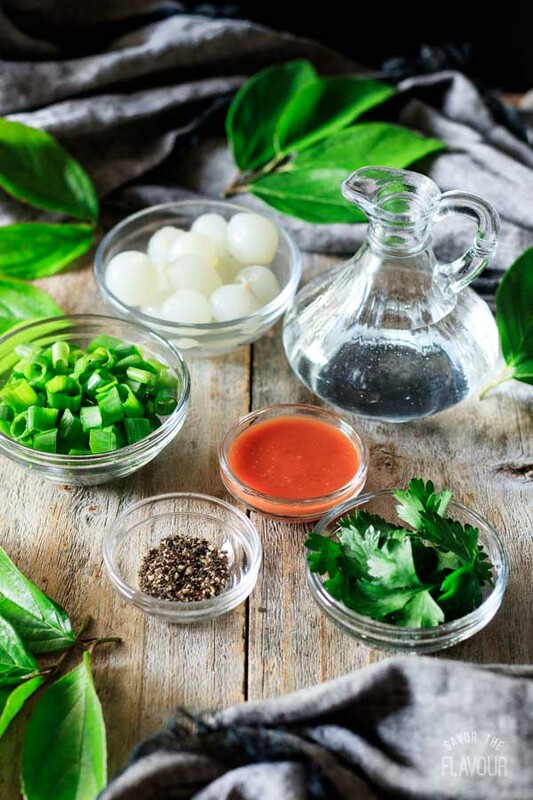 Provide other garnishes and condiments for your guests to enjoy, such as chopped parsley, a bottle of Tabasco sauce, a shaker of vinegar, and pickled pearl onions. Don’t eat pork? Use smoked turkey neck or smoked turkey drumstick instead. Want a creamy texture? 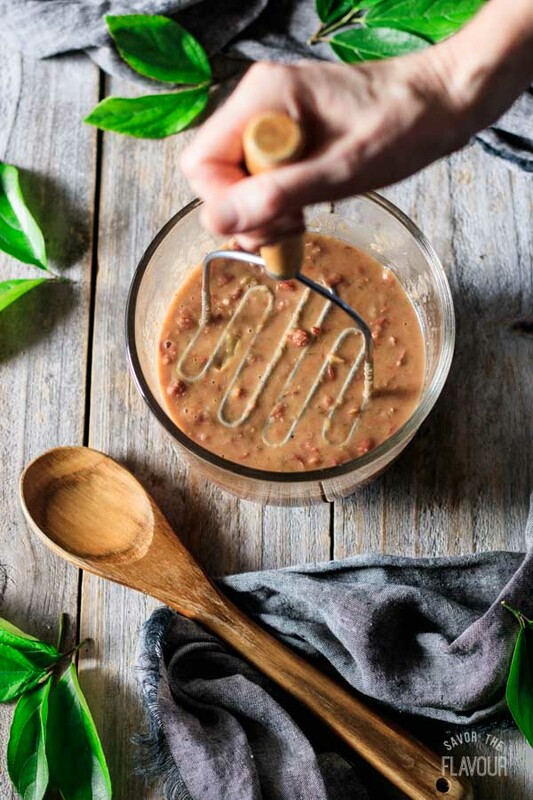 15 minutes before serving, mash some of the beans with a fork, wooden spoon, or potato masher. Want to adjust the spices? Fine tune the seasonings in the last 15 minutes, and add the salt at this time. You’ll know when the beans are done when they are a consistent, creamy texture and the beans have broken up. If your beans are still hard after soaking and cooking it could be due to age of the beans, hard water, or altitude. Craving more cuisine of New Orleans? Check out these delicious recipes. 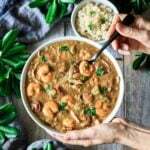 Chicken, Sausage, and Shrimp Gumbo: this flavorful N’Orleans stew is perfect for Christmas or special dinners. 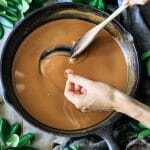 How to Make Roux for Gumbo: make the perfect copper-colored roux for homemade gumbo. 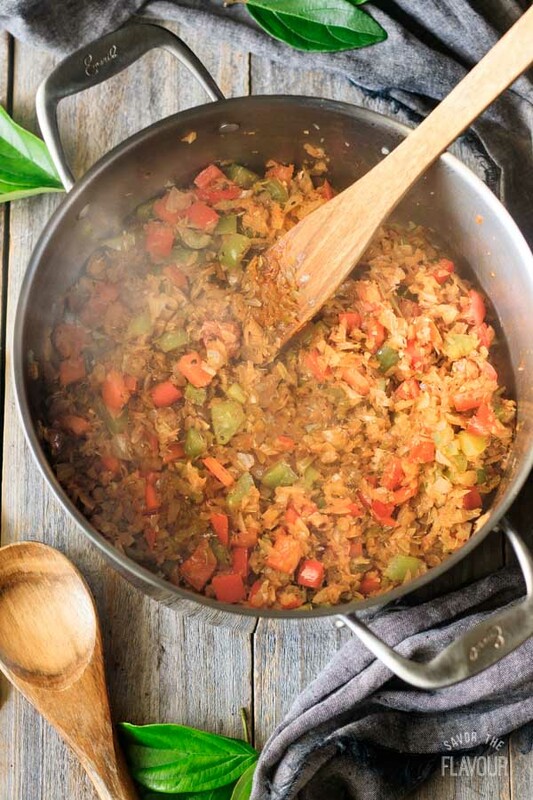 One Pot Creole Jambalaya: an amazing medley of Andouille sausage with rice, chicken, and spices. 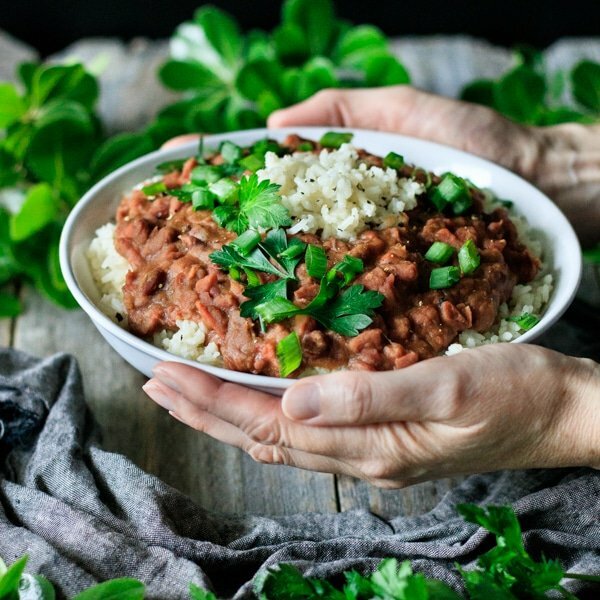 Did you make this Creole red beans and rice? The pleasure of a 5-star review below would be appreciated. Soak the beans using this quick-soak method. In a large Dutch oven, cover the beans with double the water. Put a lid on it, and bring the beans to a rolling boil and let cook for 10 minutes. Shut the heat off, but keep the pot on the element with the lid on tight. Let the beans soak for a minimum of one hour to a maximum of overnight, then drain and rinse the beans and set aside. Cut the onions, celery, and bell peppers. In a large soup pot over medium-high heat, put in 4 tablespoons of fat (bacon grease, olive oil, or some combination of the two). Once the fat has heated up, add the holy trinity (onions, celery, carrots) and cook for 5 minutes, stirring occasionally. Add the first set of spices and cook for 1 minute. Stir in the soaked red beans, chicken stock, water, and bay leaves, Add the carrot and nestle in the two ham hocks then cover. Bring the mixture to a boil, then lower the heat to medium low and simmer for 3 hours with the lid askew. Stir occasionally so the beans don’t stick to the bottom of the pot. After two hours, remove the 2 ham hocks and place them on a large plate. Wait for them to cool before cutting the meat off the bones and adding it back into the pot. During the last 15 minutes, remove 3 cups of beans and mash with a potato masher, then return the mashed beans back to the pot. This gives the bean mixture a more creamy texture. Mix in the salt and sugar and adjust seasonings to taste. If necessary, add some water to get the desired consistency. Serve hot. 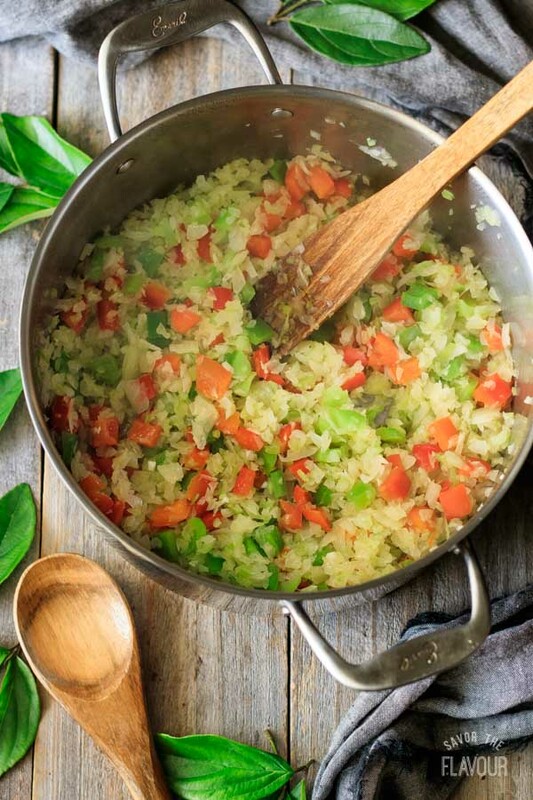 In a medium saucepan, heat the olive oil over medium-high heat, then saute the diced onion. Add a bay leaf and the salt; then cook for 5 minutes, stirring frequently. Stir in the 2 cups of rice and pour in the chicken broth. Cover and bring to a boil. Reduce heat to medium low and cook for 15 minutes, then remove from heat and let stand for 5 minutes. 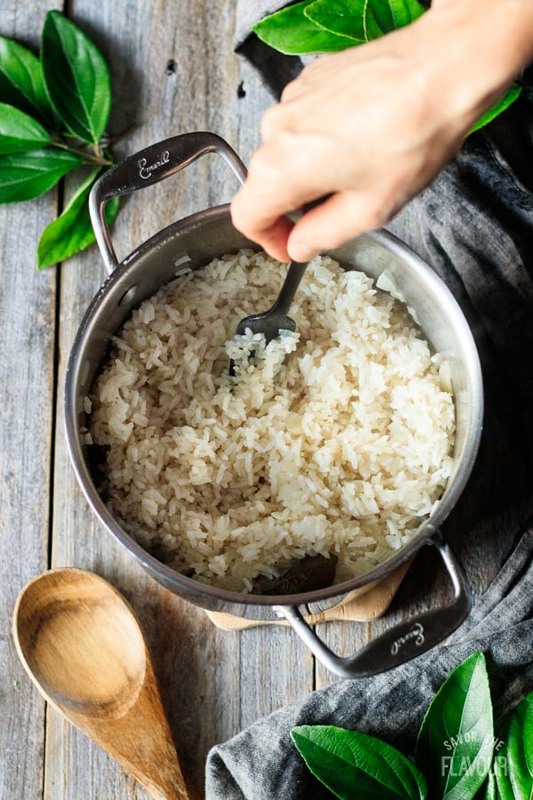 Remove the lid and fluff the rice with a fork. Serve warm. Keep the red beans and rice separate so each guest can serve themselves. In a bowl, place the desired amount of rice (roughly 1/2 cup), then ladle the red beans on top (roughly 1 cup). The basic ratio is double the red beans to rice. Sprinkle with green onions and parsley, and have the hot sauce and vinegar available for guests to add to their bowls. 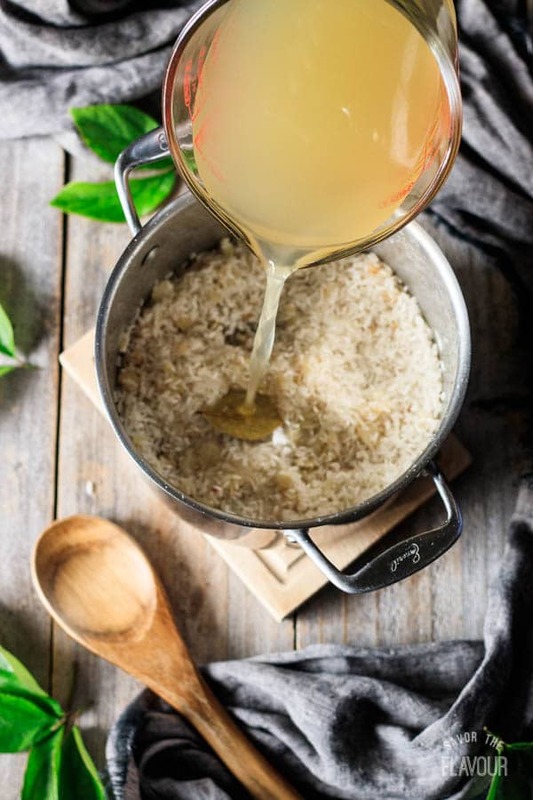 Add the vinegar 1 teaspoon at a time to your bowl. Enjoy!